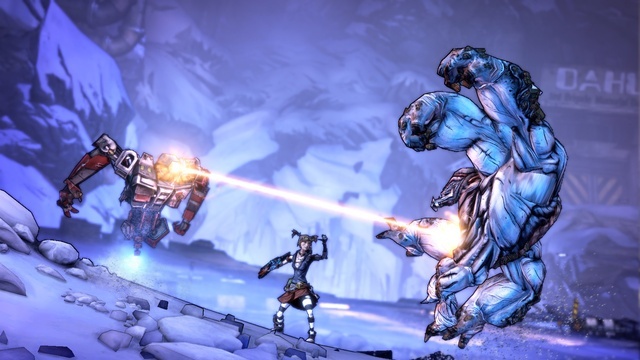 Gearbox Software has surprised us all with the release of the 5th Borderlands 2 class, The Mechromancer, a week ahead of schedule. 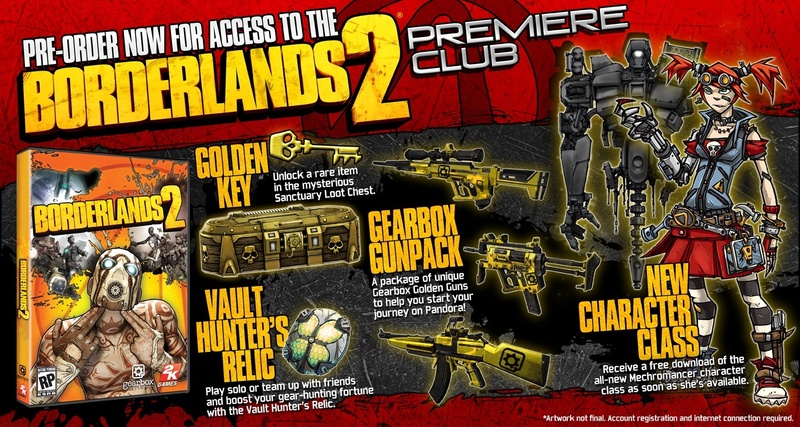 Although Gearbox originally stated that the Mechromancer class would be available to download on October 16th, they showed us all that they are truly looking out for gamer’s interests and put it in our hands earlier than expected. If you are a fan of the Borderlands teammate, Mordecai, and his pet bird, Bloodwing, or really digging Axon’s Turret skill in Borderlands 2, you’re going to love Gaige and her skill, “Summon Deathtrap” as the 5th character class. 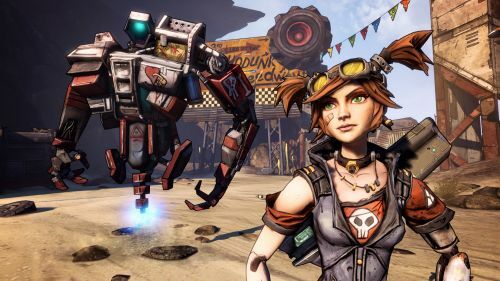 Like we’ve been discussing for weeks, Deathtrap is Gaige’s giant, hovering doom robot (who happens to whisper scratchy phrases) that makes quick work of your enemies for you. Though he can be somewhat slow (upgradable in skill her tree), he can float to areas not always reachable by players to combat enemies with lasers, palm explosions, and claw-swipes. Deathtrap’s combat duration also lasts long enough to help you wipe plenty of baddies off the map in no-time at all. Click on the link here to plan out your Mechromancer class skill tree. 1). Best Friends Forever: A somewhat “beginner” branch to invest in, covering a large variety of character buffs, Deathtrap tech, and team support. Look into this branch to mostly beef up your Summon Deathtrap skill. 2). 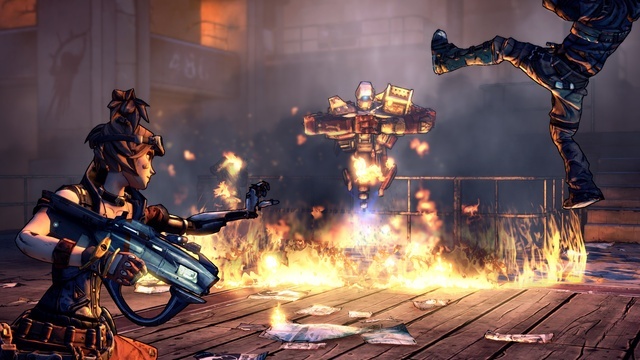 Little Big Trouble: A middle-ground between Deathtrap and Gaige buffs. 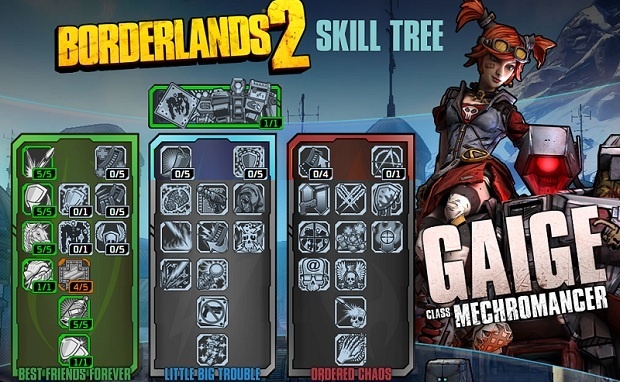 This branch focuses on Gaige’s specialization in elemental effects, particularly in Electrocution. Be the one to take down your enemy’s shields without much effort and let Deathtrap lay down the hurt. 3). Ordered Chaos: An almost pure Gaige-based branch, a new skill called “Anarchy” allows her to potentially have the greatest damage output in all of the series. Getting kills and holding down the fire button just got a whole lot easier, but at what cost? No matter which skill tree branches you specialize in or borrow from, Gaige provides a wide range of ways to upgrade her character. 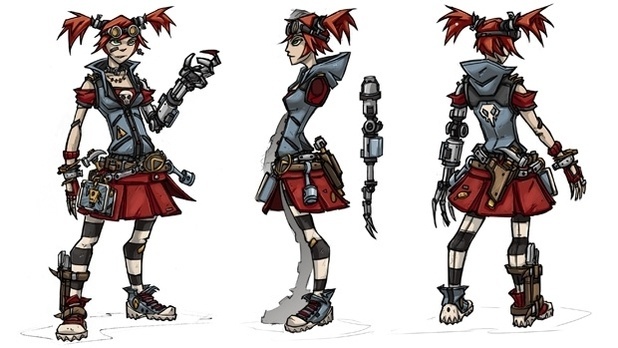 And just as one of the many easter eggs incorporated with her: depending on how you tech yourself, Deathtrap’s looks will also change. Maybe a few more stickers will appear on the hunk of metal than giant blade-type objects prodding out. It all depends how you want to “evolve” your partner during your quest. 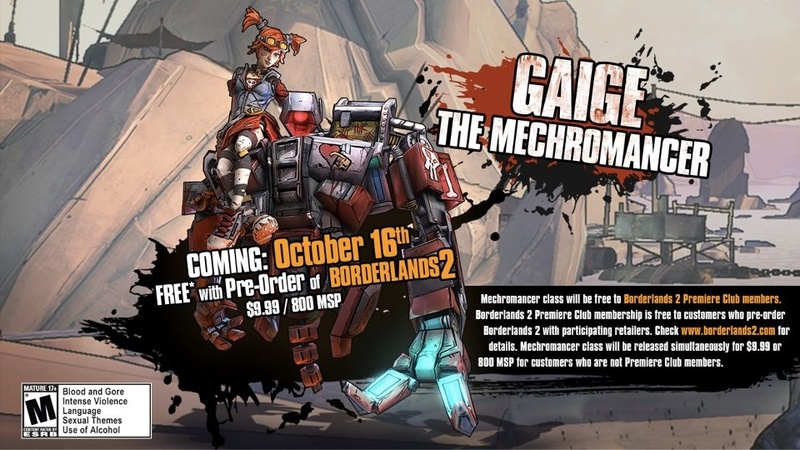 Be sure to download Gaige, The Mechromancer, class DLC on Xbox 360, PlayStation 3, and PC today (free if you preordered Borderlands 2 and $9.99/800 MS Points if you haven't) and enjoy her long awaited arrival to the Borderlands 2 crew.